The report analyses the economic, political, financial and technological trends that might affect UK property markets, and concludes that the uncertainty surrounding Brexit will gradually wear off during the course of 2019 creating a more optimistic outlook for the UK in 2020, with an above-consensus forecast for GDP growth of 1.8%. 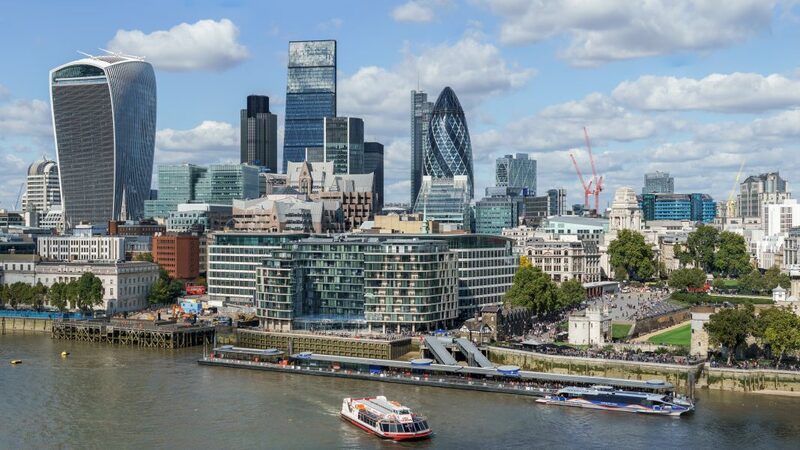 Meanwhile, Brexit has not scared off overseas investors from buying commercial real estate assets in London and according to recent figures produced by CBRE, it’s not a case of a market struggling on despite Brexit, but that rather Brexit has had the opposite effect. The weaker British pound is cited as a more powerful force that Brexit as the main reason for the continued heavy investment in the London commercial property market. Whereas the UK government has been seen to be discouraging foreign investment in residential property, with substantial increases in stamp duty (SDLT), foreign investors have switched their focus to the lower tax rated commercial property. With the West End of London ranked the second most expensive rented office market in the world, followed closely by the City of London, it is perhaps not surprising that foreign sovereign wealth funds and pension funds are looking to this market as a safe haven for their money. The flexibility and popularity of serviced office and work space through the likes of WeWork, Regus and Workspace, for example, illustrates the way that occupancy is innovating and how foreigners are taking the opportunity to increase their hold on a unique location. CBRE sees 2019 promising continued interest from foreigners in large scale investments in shared office space, and despite the uncertainty of Brexit, an otherwise optimistic outlook. For retailers, the “perfect storm” of Brexit, business rates, inflation, the growth of online and increased employee costs all add up to a rapidly changing environment in which retailers must innovate, adapt or die. CBRE thinks that pubs, leisure, and roadside retail will become increasingly more investible niche sectors. The residential market has been sluggish in 2018 with both slower sales and capital growth, with no appreciable change in sight for 2019. Rental growth has also slowed, but good tenant demand will keep rent levels steady, and institutional investment into the private rented sector will continue apace. CBRE sees UK student numbers falling back in 2019 and 2020, but, assuming a benign conclusion to Brexit, they will rise again thereafter.